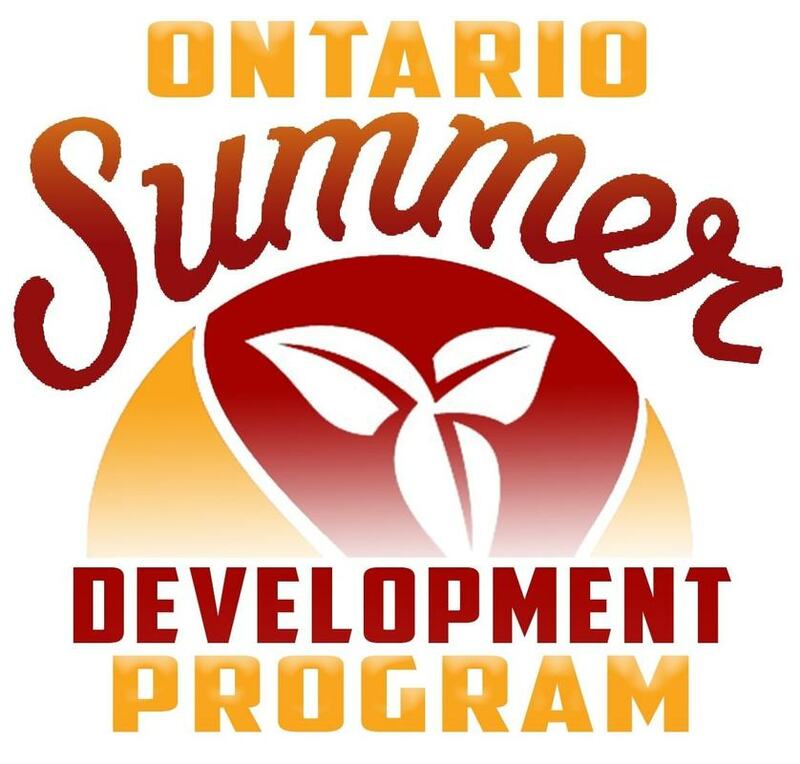 The Ontario Basketball Association summer basketball program is ramping up and we thought we would help players (and families) by posting a series of Q&A's with the head coaches. This will hopefully help to provide an introduction and some background on the talented coaches committing their time to developing talent in the Capital. With tryouts just around the corner, we're going to start with one of the head coaches for the U12 girls' program. Click here to read more. We are pleased to announce that in addition to supporting the Goulbourn Basketball Association, we will be working closely with Ottawa South Basketball Association (OSBA) and the Nepean Blue Devils – helping them both to add value to their members and provide support to their volunteer coaches. Right Way will be leading pre-season conditioning sessions for both associations. We'll also be leading a specific coach education program for OSBA and a comprehensive season-long program for Nepean’s novice level players involving coaching players and working closely with volunteer coaches to equip them with the tools they need to develop young athletes and build their own confidence. Right Way Basketball in collaboration with the Nepean Blue Devils will be offering skill development sessions starting July 6 and will also be offering pre-competitive conditioning sessions in late August. Summer skill development sessions run every Thursday evening for 7 weeks starting July 6. The pre-competive sessions run every evening the week of August 21. All sessions held at Redeemer Christian HS, 82 Colonnade Road, Nepean. MetroHoops Basketball Camp has been an outreach of the Metropolitan Bible Church since 2006. Started by John Corrente, the weeklong camp seeks to use the sport of basketball as a means to build relationships with campers and help develop their character. Each day children spend time playing games and working on their overall basketball skills as well as opening up the Bible in small groups to hear the life changing message of the Gospel. ​meet the needs of their clients. Right Way Basketball is pleased to announce the addition of Doug Elliot and Ian MacKinnon to its management team. Right Way’s origin as a basketball training organization is firmly rooted in a desire to give young players an opportunity to experience the sport of basketball while taking seriously the responsibility it has to teach young athletes valuable lessons about humility, courage, and the ability to overcome adversity. Founded by former Carleton Ravens’ point guard Mike Kenny, it was always his hope to share what he has learned as he’s navigated the Canadian basketball landscape, and to give back to a community that has provided him a healthy outlet to express himself and mature. But as the sport of basketball grows in its popularity, players today are presented with more and more opportunity. This has created a new set of challenges such as a rapid expansion of Elite leagues and other high levels of competition along with a thirst for the personal ‘mix tape’ and the ‘stat selfie’. This has no doubt produced a number of very successful individuals showcasing incredible talent, however, there has been a cost to this increase in options and battle for the spotlight. This individual talent has yet to really transfer to team success at the National level. The ‘team first’ mentality, where players consciously sacrifice individual accolades for the greater good of the team, tragically seems to be a lost art. Right Way takes this challenge seriously, emphasizing a development philosophy that is ‘character centred’. They surround their players and coaches with a process that brings wisdom, leadership, knowledge and encouragement, in an attempt to develop a resilient character that will help them in all areas of their lives. The decision to expand their management team will serve to ensure Right Way continues to deliver a quality service to players and coaches. They have been very strategic and intentional in their recruitment – building relationships with experienced coaches who have strong reputations in the community as ‘teachers’ of the game. The alignment with Doug Elliot and Ian MacKinnon as Senior Advisors, will not only strengthen the company’s roster of coaching talent, but will ultimately help players, coaches and teams better reach their full potential. Doug Elliot has been involved in Ottawa Community basketball for the better part of 40 years. Passionate about what sports can do to help young people cope with the daily challenges that life presents, he has coached youth basketball from house league, high school and competitive levels, from Novice to Junior, and is currently involved with the Nepean Blue Devils Association. He is also the head coach of the Senior Girls' and Senior Boys' Basketball teams at Longfields-Davidson Heights Secondary School. Ian MacKinnon has coached both high school, OBA club and development teams for the past 30 years. He has been an Assistant Coach with the University of Ottawa Women’s program since the start of the 2008-09 season and is currently the head coach of the 2017 OFSAA Boys' AA Champion Ashbury College Varsity Boys’ Basketball Program. An Ottawa native, for the past 14 years Ian has worked as the head of the Physical Education Department of the Junior School at Ashbury College. "Sport, basketball in particular, is a great medium to teach important life lessons. Our coaching staff are not only effective instructors of the game but they also truly embrace the opportunity to teach and build character in players.” concludes Mike Kenny. At the root of true development for Right Way, whether working with players or coaches, is the necessity of having a leadership team that genuinely cares for people and wants to see them thrive. The decision to add to the management team and actively seek wisdom from these Senior Advisors, will help to ensure Right Way has the knowledge, experience and technical expertise to help clients reach their potential. The future for Right Way is full of opportunity to make a lasting impact in the community. Since the early days of the business in 2011, Right Way has grown rapidly. We continue to run several clinics over the Christmas and March Breaks, but have also expanded into offering robust training programs for Associations as well as individual player and coach development sessions. We have built a solid reputation for quality, innovation, convenience, and affordability – working with basketball players often considered to be on the margins both in age and skill. Our success however would not have been possible without the support and trust of local Associations. It is a privilege to work alongside hard working volunteers, complimenting their efforts as they give their time and talent to help players compete in a sport they love. For this reason, it is with enthusiasm and gratitude that we announce a formal training and development partnership with the Goulbourn Basketball Association (GBA). This will see Right Way providing shooting clinics, skill sessions and individual training programs for players registered with the Association. We will also be working closely with coaches in their competitive and recreational program, providing support and tools to help improve their ability to lead their teams and get the most from their players. The National Capital All-Star Classic is one of the most anticipated school sports events in the Ottawa-Carleton Region and the only one of it's kind at the Middle School level. Held annually, the Classic brings together the best male and female Middle School basketball players in the city to showcase their talents as the Ottawa-Carleton Elementary Athletic Association (OCEAA) All-Stars take on the Ottawa Catholic Intermediate Athletic Association (OCIAA) All-Stars. It is an honour for Right Way to be aligned with a cause whose purpose is to recognize those student athletes that dedicate themselves to ideals of teamwork, sport, and healthy living, while at the same time raising the profile of school basketball in our Region. The Classic strives to provide opportunities for personal growth and development of young athletes while reinforcing ​self-confidence, self-esteem and their ability to excel on and off the court.